“If you think Safety is expensive try an Accident”. No one can claim that safety is easy but armed with adequate and correct knowledge workplaces become places of harmony and increased productivity. This Certification training seminar presented by GLOMACS will truly benefit both the organisation and the persons attending. The NEBOSH International General Certificate in Occupational Health and Safety is a globally recognised qualification. The focus of this GLOMACS Certification training seminar is upon internationally recognised health and safety standards and best practice in controlling hazards. Holders of the NEBOSH International General Certificate in Occupational Health and Safety are entitled to Associate Membership (AIOSH) of the Institution of Occupational Safety and Health (IOSH). The qualification also meets the academic requirements for Technical membership (Tech IOSH) of the Institute of Occupational Safety and Health and Associate membership (AIIRSM) of the International Institute of Risk & Safety Management. 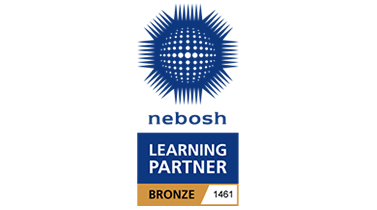 Many organisations integrate the NEBOSH International General Certificate into their supervisors’ or management development programme. The organisation thus benefits from the competence of their managers in organising and implementing high-quality safety management programmes. This GLOMACS Certification training seminar is presented face to face and will utilise a variety of proven adult learning techniques to ensure maximum understanding, comprehension and retention of the information presented. This includes exercises, syndicate and group discussion, training videos and discussions. A reference manual will also be available that covers all the topics of the seminar. The seminar duration is 11 days, ten days of training and one day for exam. Unit IGC1 Management of International Health and Safety & Unit GC2 Controlling Workplace Hazards are assessed with two 2-hour written exams on the last day of the course. Unit IGC3 International Health and Safety Practical Application is assessed by a practical assessment carried out in the candidate’s own workplace.